I am intrigued with the idea of using a Levenger Circa or Staples Arc notebook as a sketchbook or art journal. Levenger used to carry a Junior-sized sketchbook (Circa with art quality paper) years ago, but it must not have done well because it hasn’t been back since. I’m pondering what type of paper to cut down and punch for it, and turned to the Interwebs for inspiration. I didn’t find a ton, but what I found was very inspiring! Turns out, I’m not alone in pondering using Circas for art. Celtic Lass started this forum thread talking about Circa sketchbooks. Glenn Vilppu’s Sketchbook Portfolio page talks about Circa resells discbound notebook packages and describes his supplies. Check out his website here. And his really unique trifold circa system here. 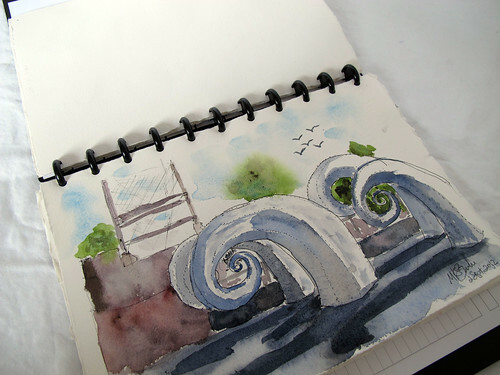 Red Harp Arts discusses their Staples Arc sketchbook used when doing urban sketching on their blog here. How awesome does this look? Anne at A Year of Living Disney shares her fantastic 6 x 6 discbound watercolor sketchbook. Check out her blog for more pics and details of her traveling art kit. 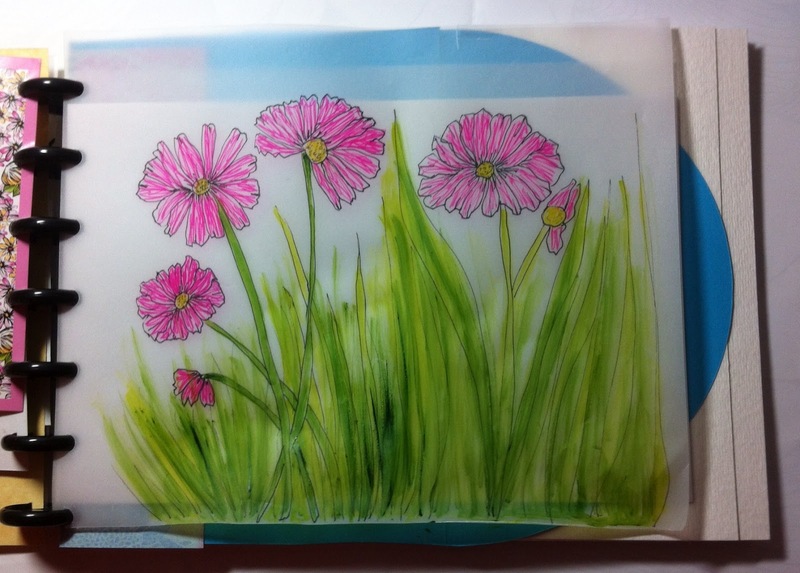 Ruth Altheim on Flickr has a fantastic set of pics of her Color Book, which she created using a Junior (8 1/2 x 5 1/2″) Circa using Levenger disks, Levenger notebook paper and custom hole punched watercolor pages. What a great idea! 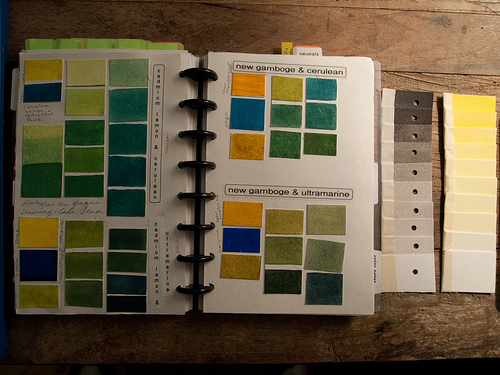 I love the concept of doing color charts in a Circa. See her gallery – and full size pics – here. 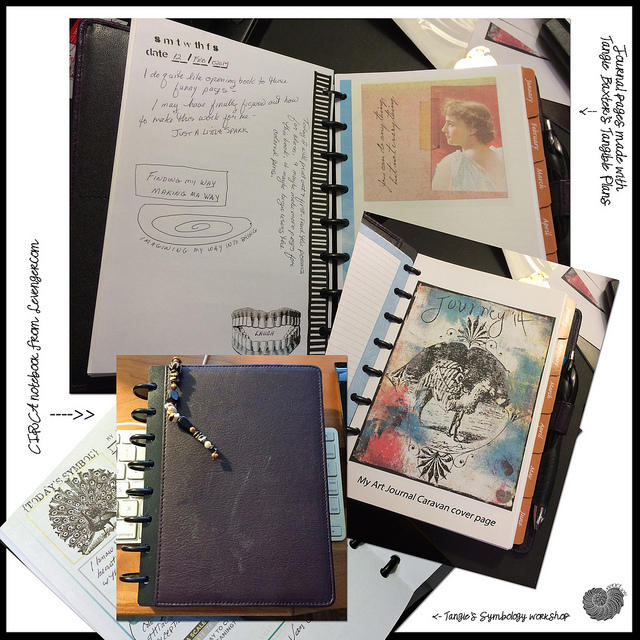 Sharon Brogan on Flickr has some great pics of how she created an art journal out of a Circa notebook. Check out her photos here. Irena at Just Crazy About Dogs describes how she created sketchbooks from Staples Arc notebooks in her great blog post here – check it out for more pics and examples. ← Stabilos – the best pen you’ve never heard of. Thanks for that bit of clarification – I was just excited to see someone else had the same idea. I actually have lots of different sketchbooks going right now too. I just like the ability to take a page out, work on it, then organize it back in the notebook again. The idea of adding momentos for a travel book is fantastic though too! My renewed interest has led to follow more of your links and I’m going to buy some more supplies! I actually no longer have a punch, so I need one. Yay! Punches are important if you want to create your own! There are only marginal differences between the Levenger, Staples Arc, and Office Depot Revolution brands – Levenger’s punch creates slightly larger punch openings, but the difference isn’t major and I use the Staples Arc mostly. Staples and Office Depot brands you can find in the stores. Levenger’s are pricy, but regularly pop up on Ebay too. Good luck experimenting, I hope you share your discoveries!